Fatal Stabbing in Ariel, Arab Terrorist At Large [WATCH] - Breaking Israel News | Latest News. Biblical Perspective. An Israeli man was stabbed to death by a Palestinian terrorist on Monday afternoon in the city of Ariel, located in central Samaria. Israeli security forces are still searching for the terrorist. The victim has been identified as Rabbi Itamar Ben-Gal, a father of four, from the nearby settlement of Har Bracha. Rabbi Ben-Gal was standing near a popular hitchhiking spot at the entrance to the city when he was stabbed multiple times in the chest. He then ran to a bus and banged on the door, asking for help before he collapsed. He was taken to Beilinson Hospital in Petah Tikva where he was declared dead. An IDF officer who witnessed the attack attempted to ram the terrorist with his car but he managed to run away. Israeli Prime Minister Benjamin Netanyahu mentioned the attack at the beginning of a meeting of the Likud faction. “I just spoke with the head of MADA (Magen David Adom, i.e. emergency medical service) who told me the man injured in the terrorist attack has died. We send condolences to the family,” Netanyahu said to the members of his faction. Ariel, (literally meaning ‘Lion of God’) is the largest city in Samaria with almost 20,000 residents. The city is named after Jerusalem as it is one of the Biblical names for Jerusalem and the Temple. The prophet Isaiah used the name to describe the future end-of-days war for Jerusalem. Adam Eliyahu Berkowitz is a features writer for Breaking Israel News. 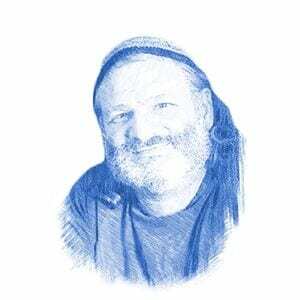 He made Aliyah to Israel in 1991 and served in the IDF as a combat medic. Berkowitz studied Jewish law and received rabbinical ordination in Israel. He has worked as a freelance writer and two works of fiction, The Hope Merchant and Dolphins on the Moon, are available on Amazon. He lives in the Golan Heights with his wife and their four children. When the Messiah Comes…How Will He Come?